Presenting the stunning new Woolistic wool jersey "Sunset". 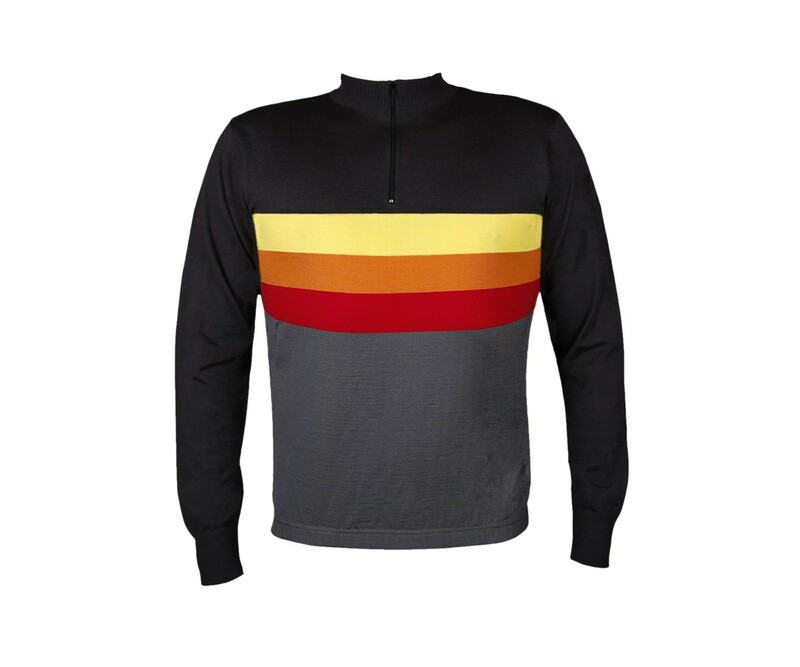 This wool jersey is has a modern racing cut with the front being higher than the back. Elastic is in the hem to keep it fitted and aerodynamic. 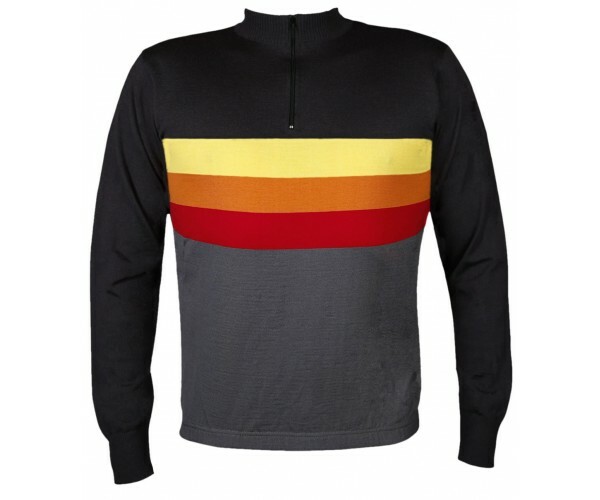 Great jersey for cool and cold weather cycling. Merino wool is a miracle natural fiber that is low maintenance and offers comfort in a wide range of temperatures. And resists odors after multiple uses. Limited quantities so order while you can!